A deleted scene answers the question about Littlefinger's death in the 'Game of Thrones' Season 7 finale. In the Season 7 finale of “Game of Thrones,” we saw the siblings, Sansa, Arya and Bran, worked together to betray Littlefinger. However, we did not see them discuss a plan about how to go against Petyr Baelish. 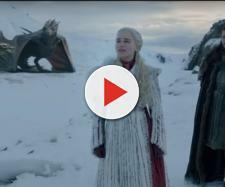 Apparently, this scene was cut from the final show. One of the memorable scenes in Episode 7 was the death of master schemer Littlefinger. It was satisfying to see him on his knees and beg for his life. His death was swift (probably too swift for his own good considering all the treacheries he committed), but it was satisfying nonetheless to see him dead. His days of scheming and manipulation are finally over. However, this scene also brought one important question. When did the Stark siblings plan to turn the tables on Littlefinger? We did not see them come together to discuss how they would go about sentencing Petyr Baelish. 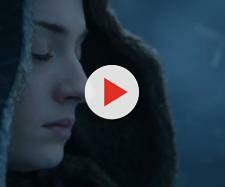 For a moment, we thought Sansa was really about to betray her sister Arya. The actor revealed that there was supposed to be a scene in episode 7 where Sansa approached Bran for help about Arya. She went to him for advice about her plans to sentence Arya. Of course, it also dawned on her that Bran is the Three-Eyed-Raven, so he is the best person to ask for information. So Bran told his sister everything that she needed to know. Apparently, this scene was deleted in the Season 7 finale of “Game of Thrones.” “We actually did a scene that clearly got cut, a short scene with Sansa where she knocks on Bran’s door and says, ‘I need your help,’ or something along those lines,” Wright told Variety. This scene would have explained what we initially thought was a continuity error had it been included in the finale. The past seasons in “Game of Thrones” we got to know Petyr Baelish as a master manipulator and a schemer. We saw a confident man who was adept at playing games for his own gain. We never saw him waver since he was always in control. However, we saw a different Petyr Baelish when the tables were turned on him. We saw him looking very pitiful as he did in the Season 7 finale, while he begged Sansa to spare his life. We saw how his confidence crumbled and he wavered. He became vulnerable and scared, so much so, that we cannot help but feel a little pity for him. For the first time, we saw a new side to Littlefinger that we had not seen before and now it's too late to see more of it.